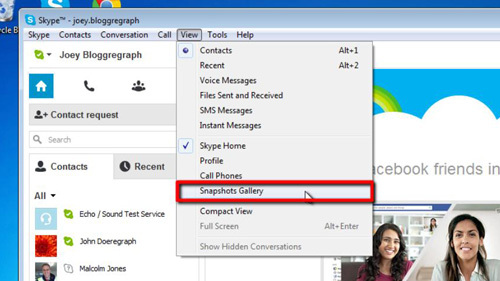 In this tutorial you are going to how to view and find Skype snapshot gallery. Opening the snapshot gallery lets you see all the video snapshots in your gallery one by one. Open Skype and log in. Open the “View” menu and click on “Snapshot Gallery”. The snapshot gallery window opens and you can use the mouse to view one of the snapshots you have taken. Step # 2 – Scroll through your pictures. Use the navigation controls to view your snapshots. Note that the snapshot gallery only shows you snapshots you took of incoming video, not video from your own web camera. The “Snapshots Gallery” menu item will only become active if you have taken at least one snapshot of incoming video, otherwise it will remain “greyed out” and inaccessible. To find the location on your computer where these images are stored, you can type “%appdata%\skype\pictures” in the Windows “Start” menu “Search programs and files” box. 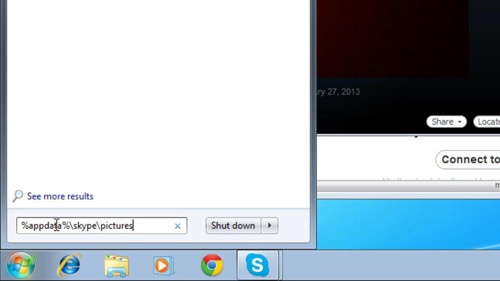 This will open a Windows explorer window listing the files that are stored as “snapshots” in Skype. 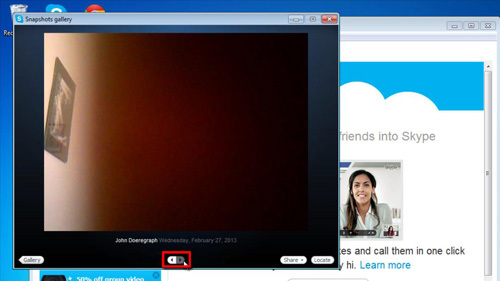 This is how to view and find Skype snapshot gallery.